Color for gradient elements. This option allows selecting the color for the gradient elements. Footer Simple Background Color. This option allows selecting the color for the footer (Simple style). Footer Simple Dark Text Color. This option allows selecting the color for the footer (Simple style). Footer Simple Main Text Color. This option allows selecting the color for the footer (Simple style). Footer Simple Grey Text Color. This option allows selecting the color for the footer (Simple style). Footer Modern Background Color. This option allows selecting the color for the footer (Modern style). Footer Modern Light Text Color. This option allows selecting the color for the footer (Modern style). Footer Modern Grey Text Color. This option allows selecting the color for the footer (Modern style). Footer Classic Background Color. This option allows selecting the color for the footer (Classic style). Footer Classic Dark Text Color. This option allows selecting the color for the footer (Classic style). Footer Classic Grey Text Color. 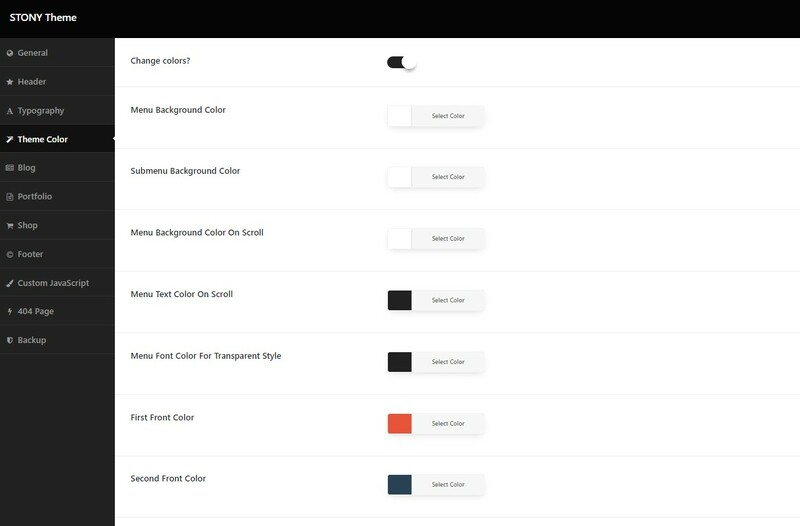 This option allows selecting the color for the footer (Classic style).